I believe this to be my greatest discovery this summer. 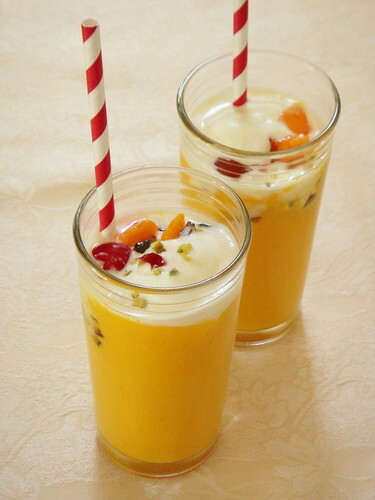 While I cannot honestly fathom how I did without this heavenly mango drink for so many years, I have a good mind to catch up on what I’ve been missing and I strongly urge you to do the same if you have not already done so. 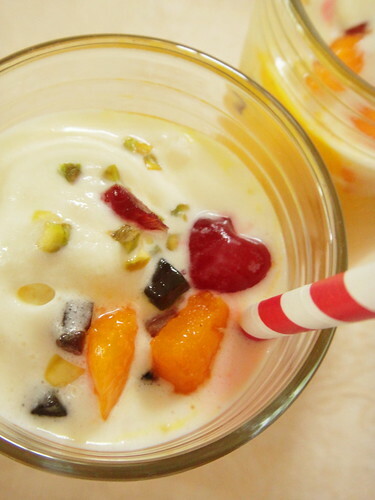 Mango mastani is a thick blend of fresh mango puree, chilled milk and vanilla ice cream topped with nuts, tutti fruit and candied cherries. 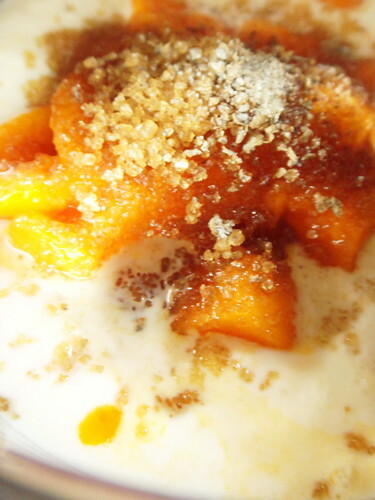 I do not think that the term ‘milkshake’ really does it any justice to the mango mastani, which originates from Pune, Maharashtra in honor of the beautiful queen Mastani, wife of Maratha Peshwa Bajirao I. The love story of these ill-fated lovers has been over the years retold through novels, Tv series and movies, the most famous being Sanjay Leela Bhansali’s Bajirao Mastani, released in 2015. 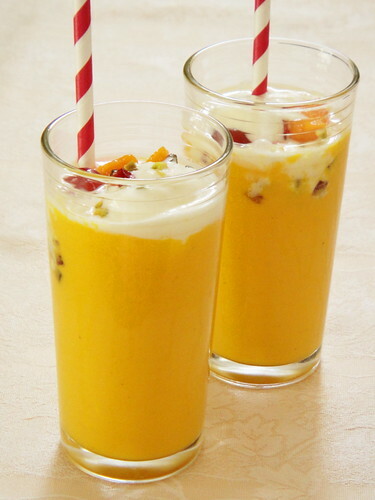 The recipe for this refreshing royal beverage, from Cook with Manali, has been tweaked to include mango sorbet as I was running short of vanilla ice cream and it serves to enhance the mango flavor, which can only be a good thing here. 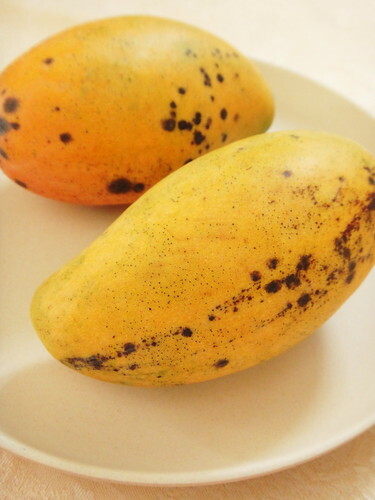 Peel the mangoes and remove all the pulp. Blend all the ingredients till smooth. Pour into serving glasses, fill the glasses 3/4th leaving some space for ice cream. Add 2 scoops of vanilla ice cream to each glass. Garnish with the chopped nuts. 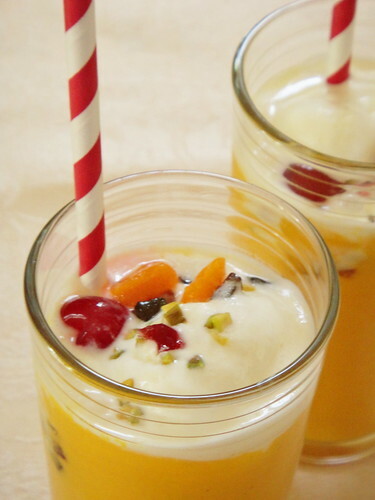 Top with tutti frutti, mango and cherries. Serve immediately. Makes 2 servings.